1. // 2. // 3. // 4. // 5. // 6. // 7. // 8. // 9. // 10. // 11. // 12. // 13. // 14. // 15. // 16. // 17. // 18. // 19. // 20. // 21. 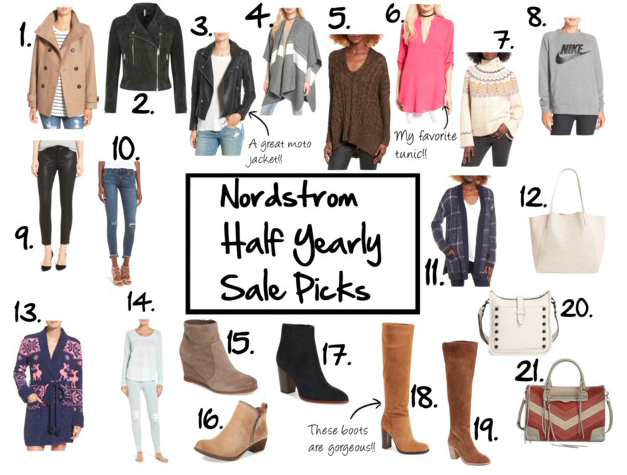 Nordstrom's Half Yearly Sale is going on right now and there are SO many good deals! I am obsessed with the Sam Edelman boots (number 18)!! Hope you enjoy mu picks and take advantage os these amazing deals! !